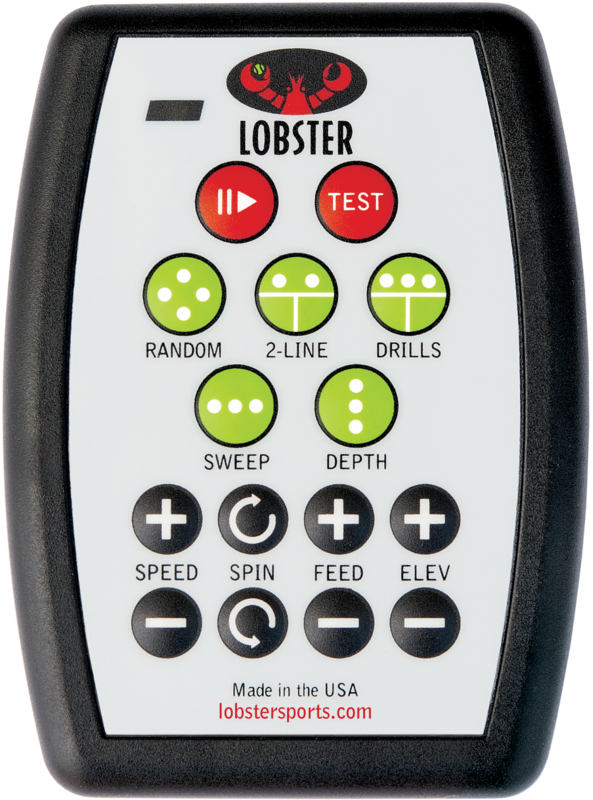 Gain greater control of your training regimen with the 20-function remote. 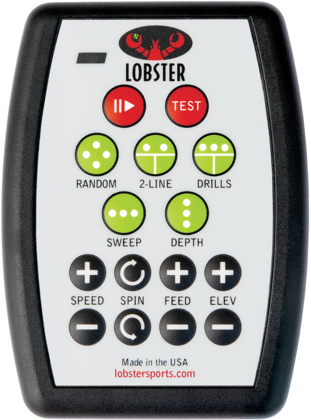 The state-of-the-art compact controller allows you to make instantaneous changes to your Lobster tennis ball machine like: play/pause, oscillation sweep, fully random, 2-line, speed, feed, spin, and much more. This option may be pre-installed by the factory or by the owner after purchase. Compatible with grand and phenom models only.